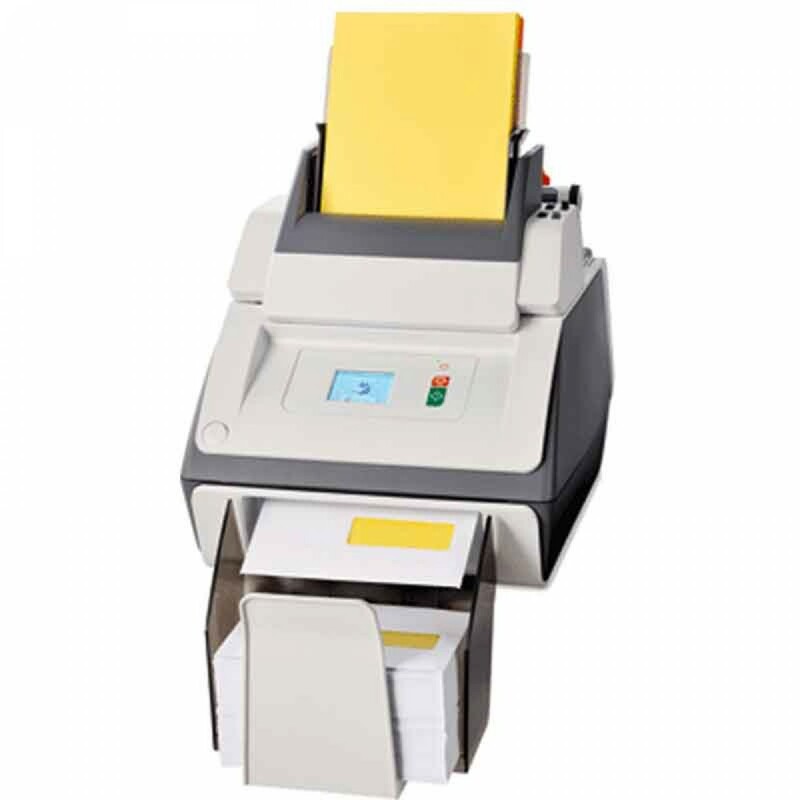 The Formax FD6102 Office Tabletop Paper Folder and Inserter saves time and money. The FD 6102 inserter offers the latest technology in entry-level tabletop inserters, making it possible for any business to automate its mailings. The affordability of this inserter eliminates the need to send out tens of thousands of mail pieces in order to justify the cost of automation. With the FD 6102, any size company can enjoy the benefits of automated folding and inserting. Quiet operation and a compact, desktop design fits any office environment. A large, color touchscreen control panel with wizard job feature easily guides operators through setup and operation. Up to 15 jobs can be programmed so that recurring and frequent jobs can be processed with the push of a button. Dont waste any more valuable time and money manually folding and inserting. 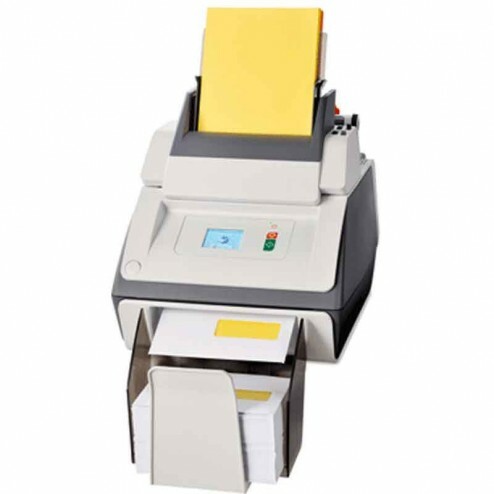 Automate your mailings with the FD 6102 and maximize your companys efficiency.